This summer sees the arrival of another piece of industry standard pro kit arriving at dBs Music. This time it's another world-class piece of gear for our Live Sound degree students. 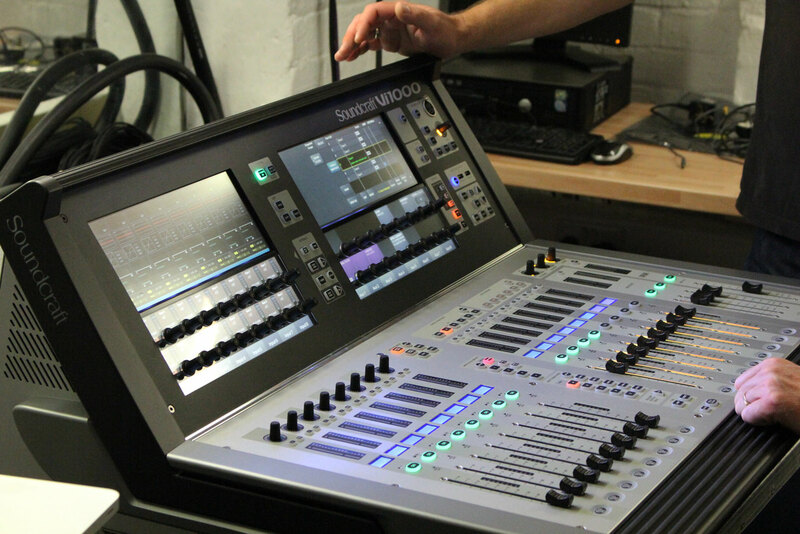 Ready for the new term, a brand new Soundcraft Vi1000 mixing console arrived on long term loan from industry partners and friends of dBs Music, Harman International. Here's what Live Sound degree course leader, Jim Parsons [centre right in the image below] had to say about the new arrival, "Live Sound digital technology changes at a fast rate and in order to keep our BA programme up to date we are always looking for exciting new products to add to our substantial teaching resources. Soundcraft mixing consoles have a great heritage and the new Vi1000 has a smart ergonomic design coupled with a rich palette of features so we were pleased following a guest lecture by Harman product expert Ben Libby to be offered a full mixing system including the Universal Audio based Realtime Rack on extended loan." 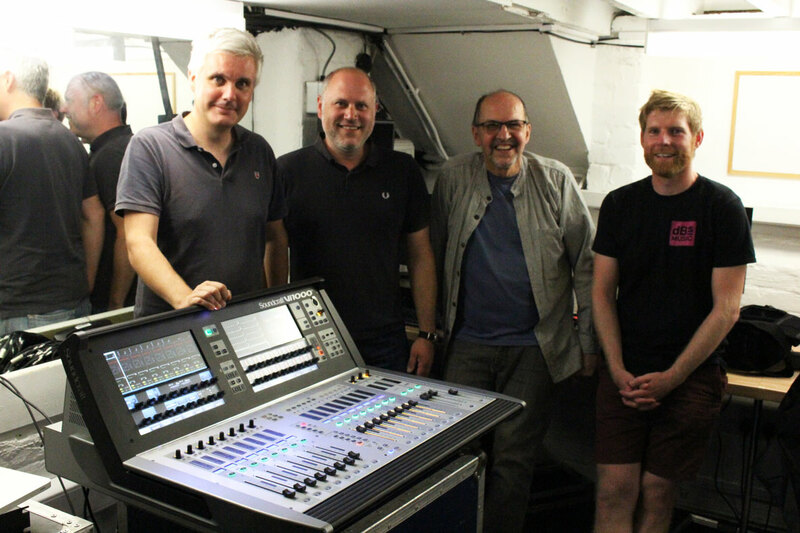 After a familiarisation and training day with Ben [centre left], head technician Olly Wickes [right] will be putting the system through it's paces straight away with a full on rock show at our teaching space dBs Live which doubles as Plymouth's top live music venue The Hub."